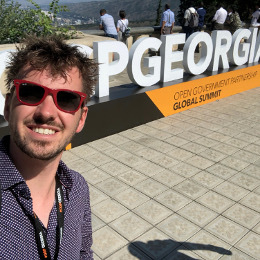 Tom Kunzler and Breyten Ernsting from the Open State Foundation travelled all the way to Tbilisi in Georgia to attend the Global Summited that was organized by the Open Government Partnership (OGP). OGP is a multilateral initiative that aims to promote open government. The Netherlands has been a member since 2011 and has therefore submitted a National Action Plan every two years. 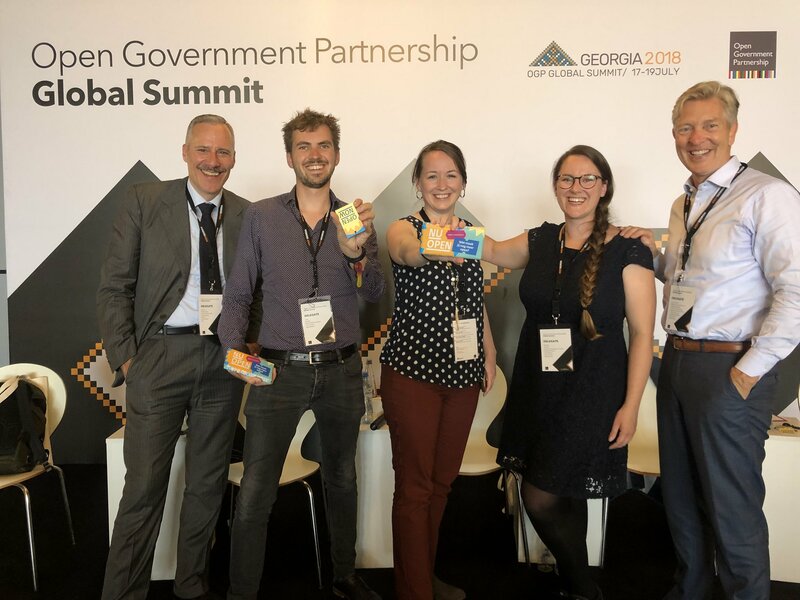 The Open State Foundation has been actively involved in the Dutch branch of the OGP by contributing to commitments, for example Open Spending Detaildata and Open Council Data were part of the previous plans. That’s not any different for the new Dutch National Action Plan. There are two commitments that the Open State Foundation will focus on these coming two years. The first commitment concerns Open Decision Making Data. More than 100 municipalities are now providing their council information as open data. We are currently working with five provinces to help them unlock provincial data as open data. Next year the Open State Foundation, together with its partners, will focus on finishing the open data standard and finding long-term management solutions for the project. An app challenge that focuses on open provincial data will also be organized next year. The second commitment concerns Freedom of Information Act Requests. In cooperation with the provinces of North-Holland, South-Holland, the National Police Unit and the Association of Netherlands Municipalities, the Open State Foundation aims to open up FOIA-requests according to a standard and ensuring that the data is accessible for re-users. The Open State Foundation has previous experience with this topic with the OpenWob.nl platform. This platform encompasses only FOIA-requests from the municipality of Utrecht. The goal is to have more governmental institutions publish their requests in this manner. Do not hesitate to contact us if you have any questions or suggestions. Click here to read the more extensive Dutch article.